Agostini Associati has 15 years of experience in translating legal documents. This is an area where issues can be extremely diversified, ranging from Mergers & Acquisitions, Intellectual Property, Negotiation, Labour Law, Disputes, Privacy Regulation, Trial Documents, Legal Communications and many more. We have extensive knowledge in all of these sectors, with more than 950 legal documents translated in the last year. We work with leading legal firms and in-house legal offices to deliver a high quality service performed by native speaker professional translators with at least 5 years of experience. 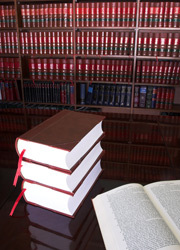 Additionally, we provide sworn translations that are certified in uniformity to the original text. Agostini Associati is committed to maintaining the strictest confidentiality with regards to the information that comes to our knowledge in the course of any given project. This applies to our employees and associates and is supported by our investment in IT and social engineering.